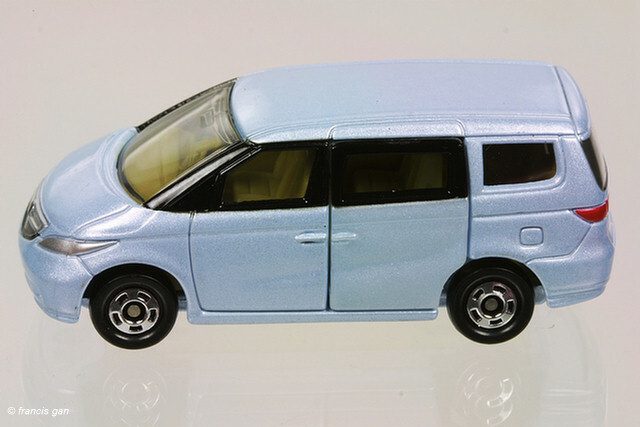 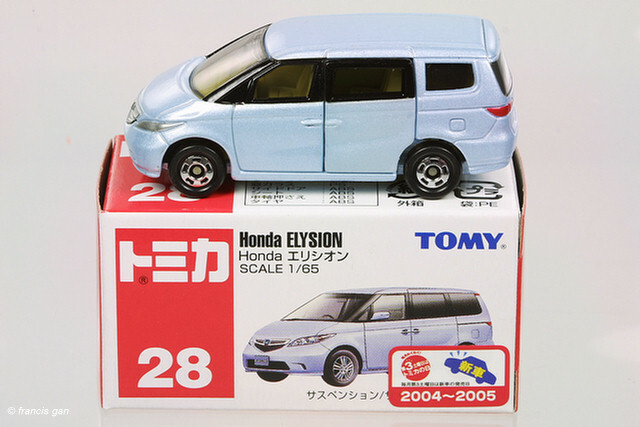 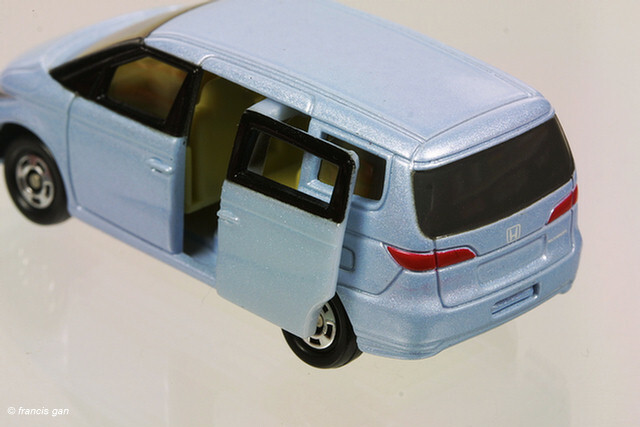 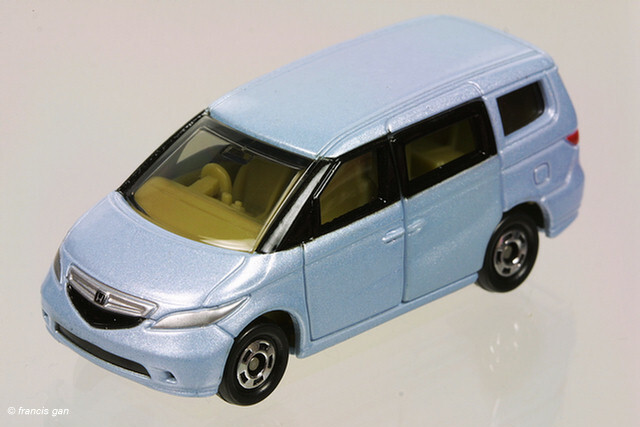 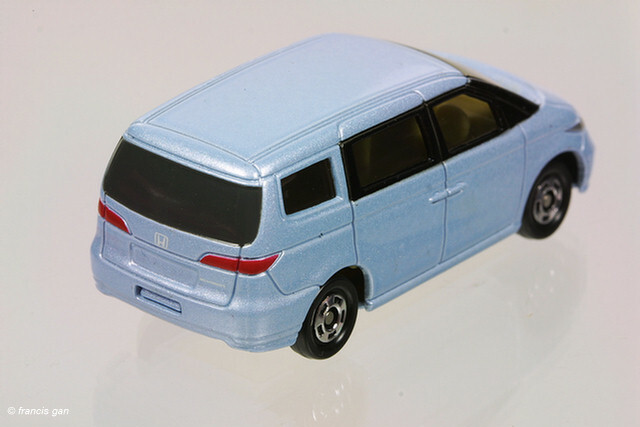 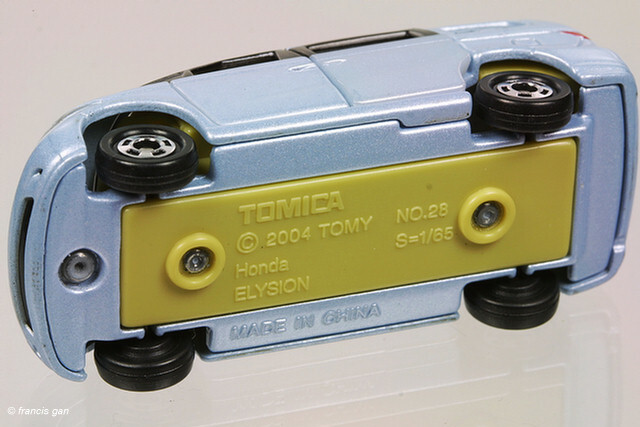 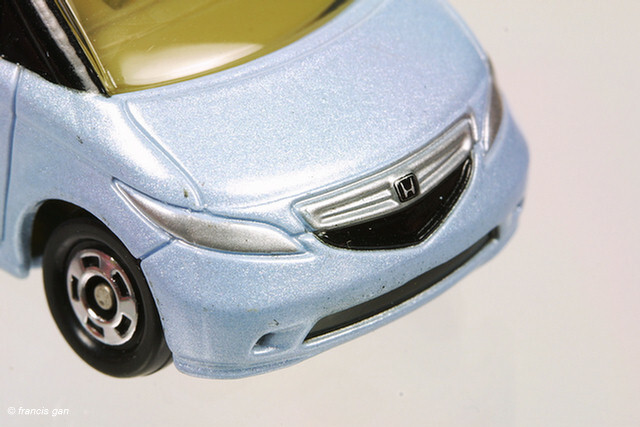 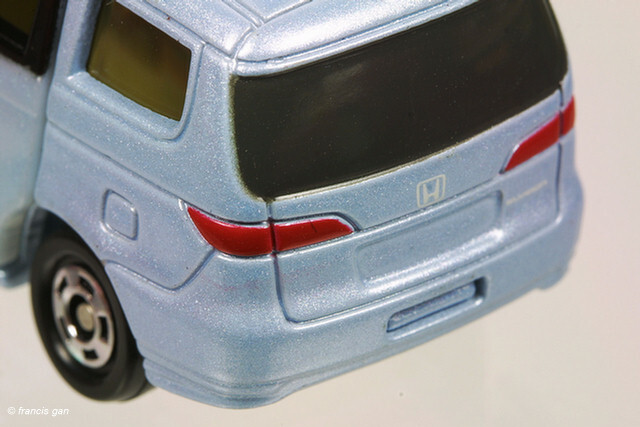 Tomica's Elysion was released in 1:65 scale in a pearl light blue. 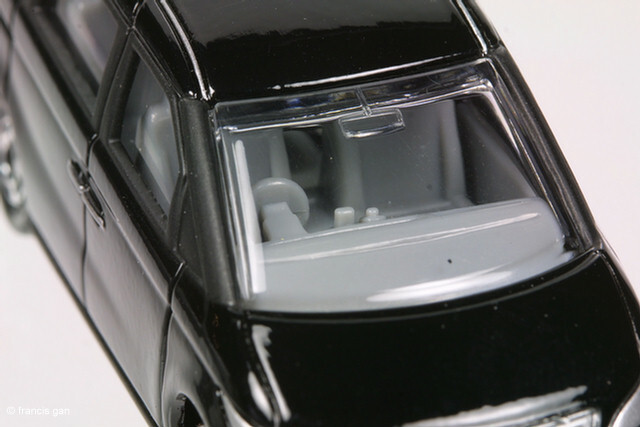 In addition to the opening left side passenger rear door, the detail is good. 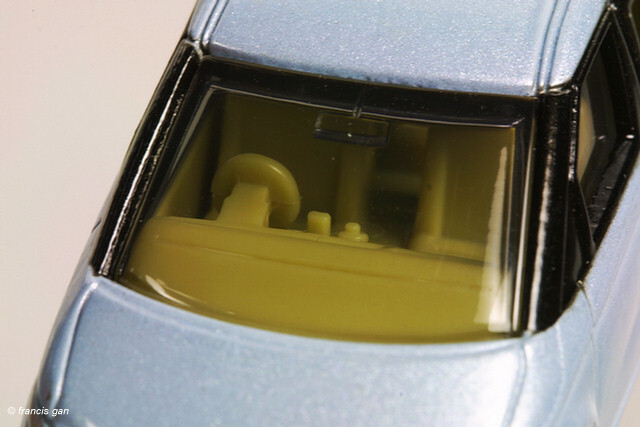 The base plate is a smaller beige plastic piece which is the same color as the interior. 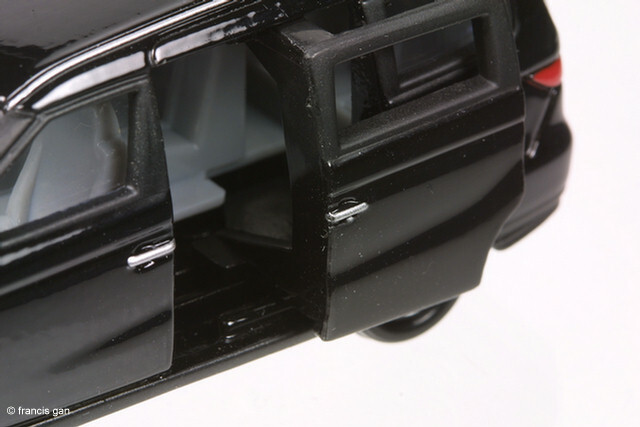 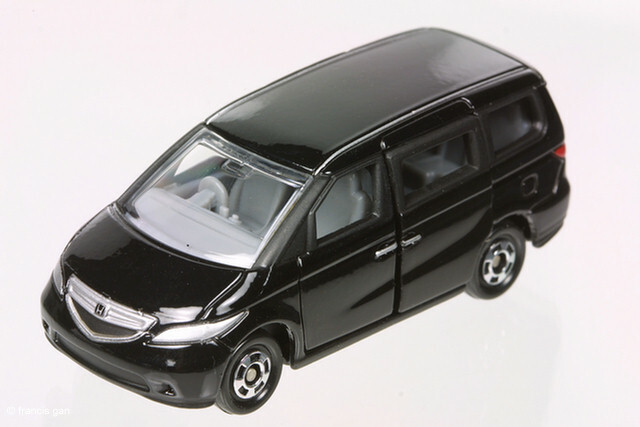 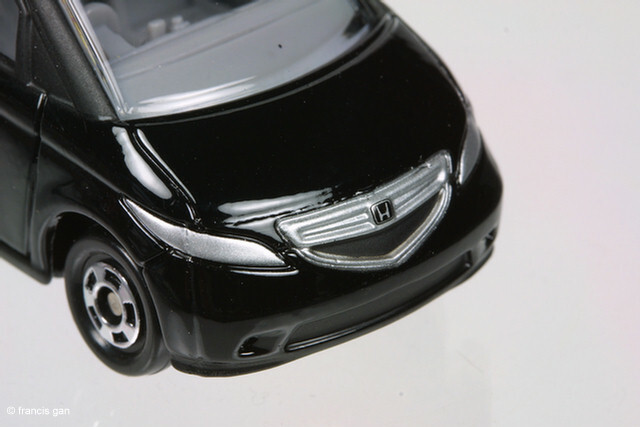 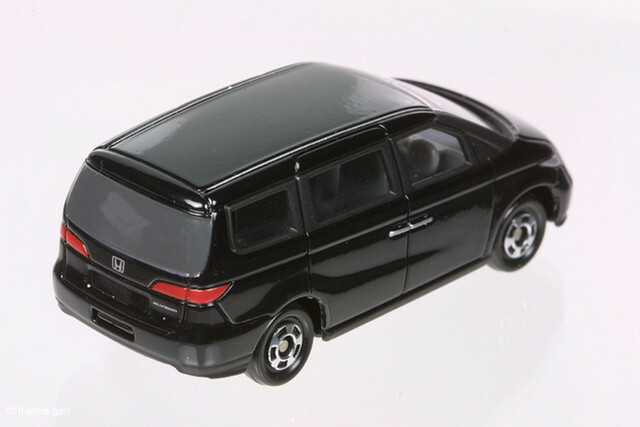 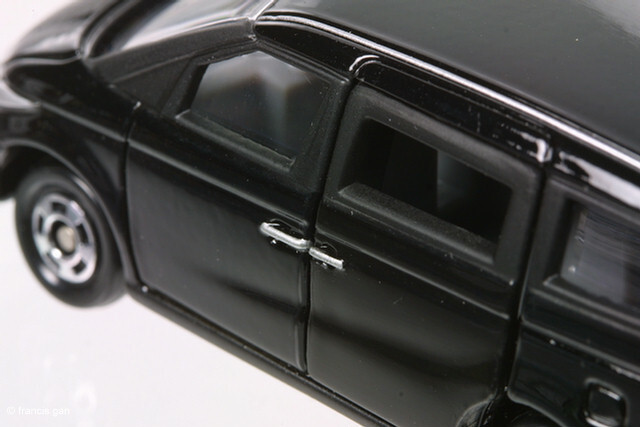 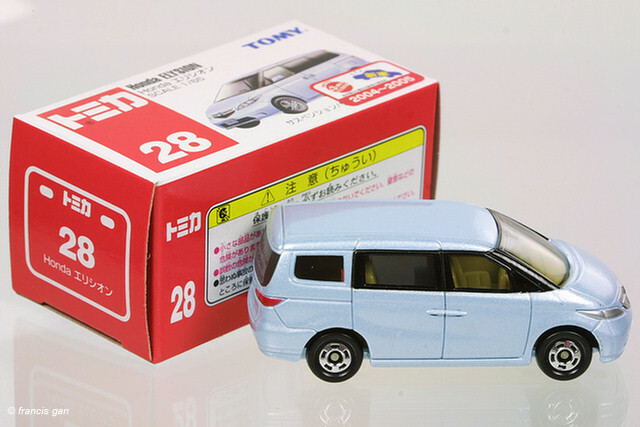 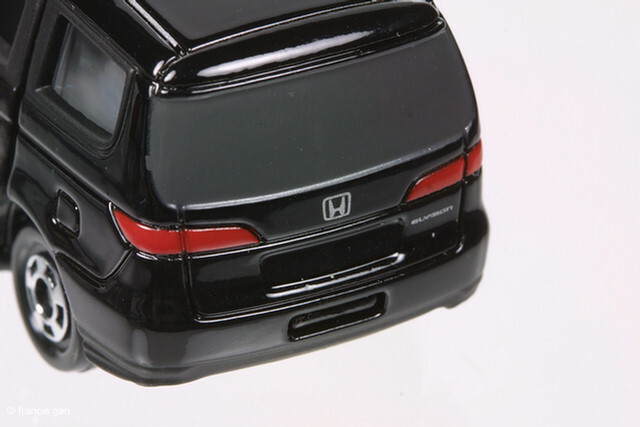 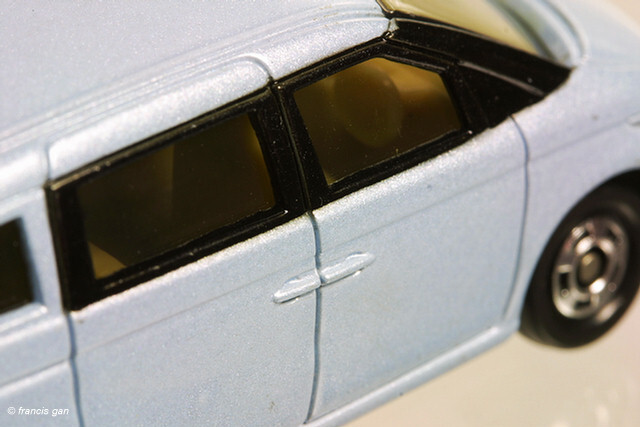 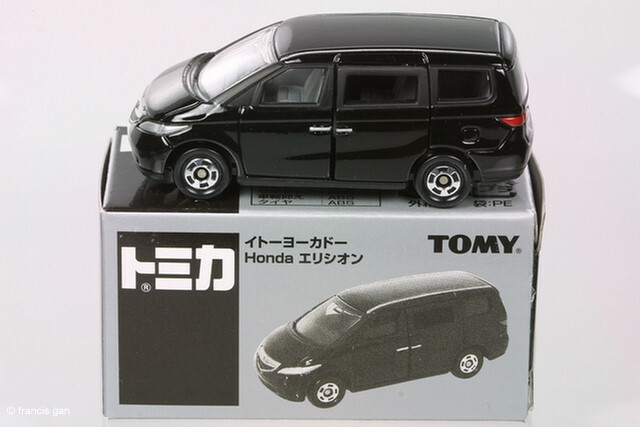 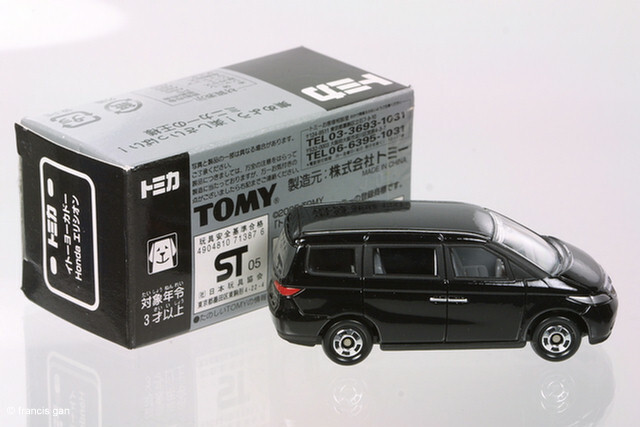 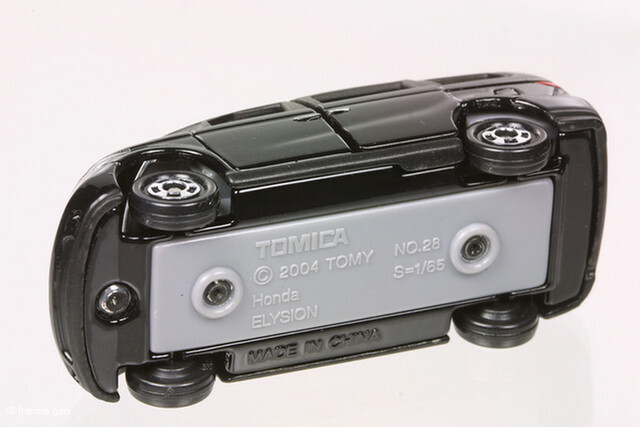 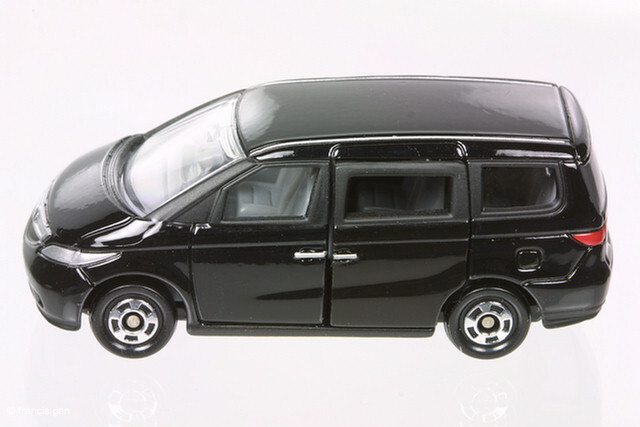 A Tomica silver boxed special edition in black with the added door trim and roof rail details.